For the past 5 years, local business Jimmy Valentine’s Lonely Hearts Club has raised funds to support Webb-Wheatley’s after school programs. The funds raised have made it possible to engage our youth in positive and productive activities and projects, like a play adaptation of The Wizard of Oz, a Halloween party with MPD, the creation of a yearbook by and for the students, kites for “high-flying kite day,” fashion and talent shows with prizes, field trips, and a host of other art and craft supplies that create teaching and learning opportunities. 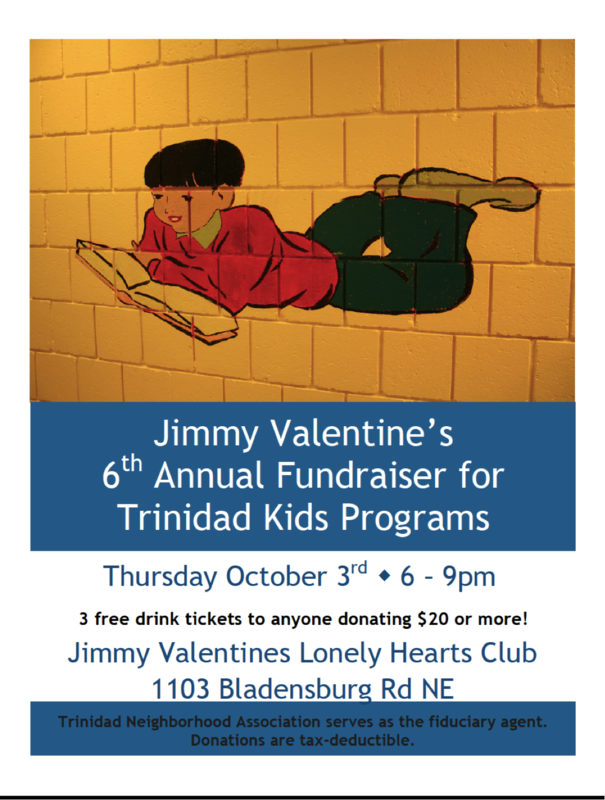 This year’s fundraiser will benefit youth activities throughout the community, and it is scheduled for Thursday, October 3, 6:00-9:00 pm at Jimmy Valentine’s Lonely Hearts Club, 1103 Bladensburg Rd. NE. Jimmy V’s will offer 3 free drink tickets to each person donating $20 or more. 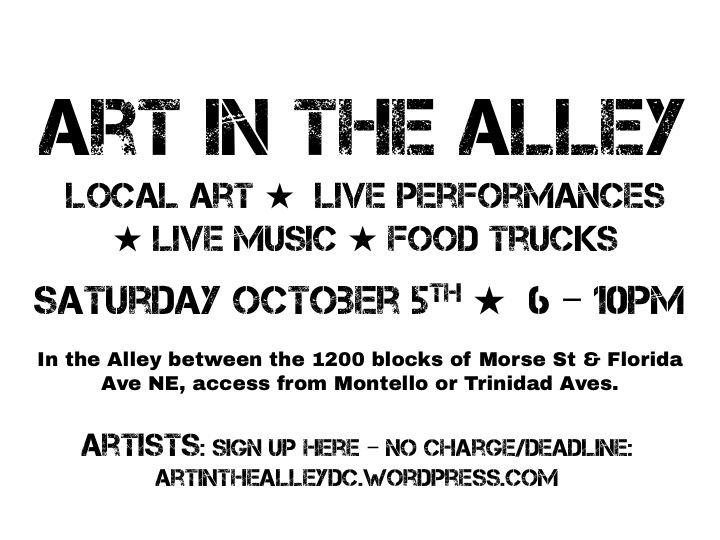 We’ll be able to accept cash and checks (and, we hope, credit cards) at the door. Checks can be made payable to Trinidad Neighborhood Association, with “JVLHC Fundraiser 6” in the memo. TNA serves as the fiduciary agent for the fundraiser – by raising funds through TNA, a 501(c)(3) nonprofit organization, Jimmy Valentine’s and TNA are able to buy and directly donate items as and when needed. This means 100% of the money raised benefits the kids in our neighborhood. 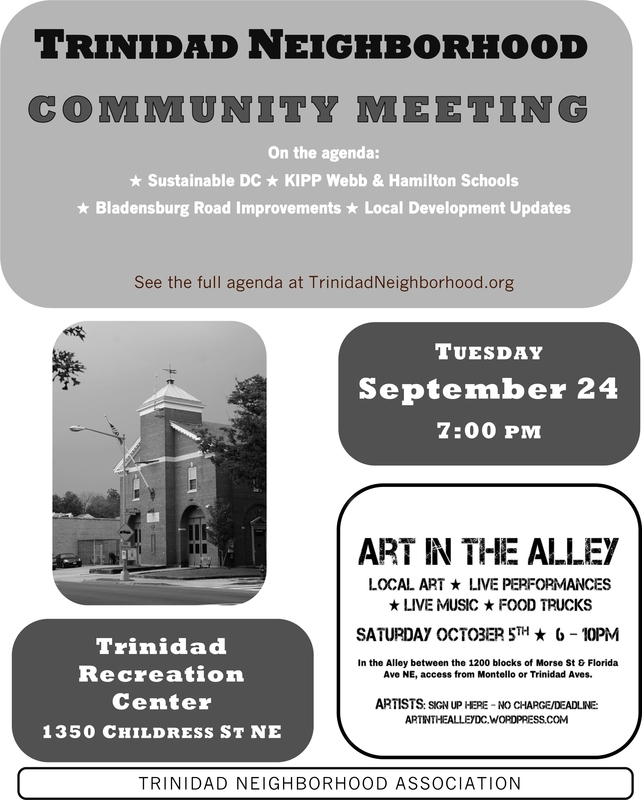 Please join us on September 24 at Trinidad Rec Center! This month a representative from Sustainable DC will share details about the new, 20-year plan to make the District the healthiest, greenest, and most livable city in the nation. Anwar Saleem, Executive Director of H Street Main Street, will update us on the organization’s expansion into Ward 5 to include Bladensburg and Benning Roads. KIPP DC will discuss their plans for the Hamilton School.